About SMD (Social Media Detroit), we came about because of the recent explosion of social media (SM). What started as a small community has grown into the majority leader in online presence. Facebook (social network) for example recently passed Google for search results on the Internet. Now more people are using social media to find products and information than search engines. Twitter (social network) has become the marketers dream machine for online marketing. LinkedIn, is the place to find and communicate with professionals. After years of networking online myself, I realized that every business needs to market themselves through social media. That is if they want to stay abreast of the competition. I thought this would be a good service to provide to other businesses. Most social networks are free to join and reach millions of people everyday. This makes it the platform of choice for companies to engage with their clientele. Signing up for and managing a social network campaign can be a full time job in itself. I know, it took me several years of effort to get it right. Now I manage my networks in 1-2 hours a day. Social media takes time to get results. Like any venture SM needs to be worked on, nurtured and grown from the ground up. Social Media Detroit has years of experience developing and managing social networks. Even so, I signed up for formal training to further my skills and abilities. I trained on (and completed) the "Let's Get Social" course for social media managers. This online course is covers is very comprehensive and is taught by Kate Buck Jr. a leader in the industry. It covered everything from initial profile set up to marketing strategy to daily maintenance and special time saving resources. Let's Get Social training course teaches everything about social networking from set-up to management to content creation. As a result of this training Social Media Detroit was created. SMD is a service to help busy people get the most out of social media marketing. Our goal is to help you reach your social media goals in as short a time as possible. We can help you manage your social networks to get the desired results. 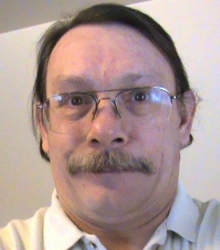 About Social Media Detroit, it is owned and operated by myself Timothy Koen. I have been web developing for over 4 years and own two websites and 5 blogs. I operate this website and another called Herbal Nutrition Solutions. These 2 websites generate over 60,000 hits per month. All of my traffic is free and comes from search engines and social networking. These are added skills that most marketing managers do not have. To really understand how social networking works you must also understand how Internet marketing and website development work. Knowing how these three very different disciplines work is key to having a successful social media campaign. Social Media Detroit is a service dedicated to helping you reach your social media goals. To inquire about SMD services please visit these pages. Social Media Packages - Social media packages enhance your online business with management and marketing of your social media accounts. Social Media Services - Social media services include set-up, management and monitoring of your social media accounts. Enhance your online business presense with up to date profiles, posts and status updates. Blog - updates, posts and articles about SMD. SMD Info Form - to inquire about our services.